“Joyce and I just love our Kauai Spa. We use twice every day! Kauai is rated 4.4 out of 5 by 118. Rated 4 out of 5 by jaynee from Great for tired muscles and joint pain Had to have the heater board relaced at four years. Now, a couple of years later I went out to get in it, and it has stopped heating. Another service call. Out of warranty. Kind of takes the pleasure out of it. Rated 4 out of 5 by In Hot Water from Kauai Spa We have had several spas and Calderia Kauai has met or exceeded our expectations. Rated 4 out of 5 by Radman from Worthwhile Purchase We have had the Kauai Sauna for nearly 5 years and have even transported it from the original TN home to SW Fla. I will agree with the comment in regard to Br adjustment on the built-in Frog system. I learned to plug up 1/2 of the hole on each side on position 1 and it will keep the Br level just above normal. Rated 4 out of 5 by chefgary from Relaxation at its finest We have really enjoyed our Kauia Spa for the last year and a half. It is very easy to maintain which adds to the enjoyment. The only thing that I would add though that it is really a two person tub. That fits our needs very well as we are empty nesters with only two of us here. The water management would be trying for three adults as you would have to take out and replace every time there is a third person in order for it to circulate properly when not being used. With that being said it is a great product, the size fits our needs perfectly. Rated 4 out of 5 by Albert65 from Very Good SPA I would have rated it 5-stars, but there is only one problem in the comfort department. The jets near the head rests are not recessed enough and you can feel them in your upper back when reclining. Rated 3 out of 5 by bryan from troubled waters I suppose it's just because we're new to it but it doesn't seem like water quality should be such a problem. The jets are "surging" on occasion which concerns me. Rated 3 out of 5 by spajunkie from Kauai Love the size. Had an issue with the drain. It didn't work at first and the dealership had to order a part to repair it. I'm trying to figure out the chemical balance. Love the size again. It's perfect for one or two people. Rated 2 out of 5 by SanDiegoEl from I loved my 12 year old Kauai from the past,this new one not so much. The reason I use hot-tub is to stretch my achy body each morn.This acrylic shell is very hard on my body and not as easy to slide around in the tub,as was my old Kauai. A new bromine cartridge each month,expensive. Rated 2 out of 5 by susan34 from Quality is an issue My heater has broken twice in the 2 years I've owned it, And the jet motor has burned out as well. In addition the water drainage valve was glued shut and I had to have a service man come out and cut of the valve and replace it. They were familiar with this being a problem too. Not sure why it was sold to me with the valve glued shut. One of the LED lights has burnt out as well. Fighting the warranty to get this tub repaired required a lot of energy as well. This hot tub is not engineered well. I'm very sad about this purchase and wished I went with a Hot Springs Tub. Rated 2 out of 5 by Disappointed owner from Worse spa ever Bought this spa 2 years ago, after owning a Baja spa for over 10 years (trouble-free). Have spent more time "maintaining & fixing" this spa than actually USING the spa. This spa was installed, but the water would not regulate...no bromine distribution. Water discolored. "Battled" with the retailer for months, continually throwing chemicals into the spa to no avail. Finally, after begging and pleading, they sent a repair person out, who could not figure out why the spa was so discolored. THEN, Caldera informs retailer, that this spa needs a "distributer" put in the pump area (who knew? & why wasn't installed originally??). So, in essence, bought the spa & couldn't even use if the first 4 months of ownership! Tried to get retailer or Caldera to take the spa back, but no go. This resolves issues for a while, but then the circulator pump goes out. Fixed, refill spa (which each time requires removing panel door & "burping" the pump afterwards-major hassle as it requires undoing 8 screws). Following this, major "gunk" around spa. Get someone out again, now have to change filter, drain and refill. If you want a tub that is labor-intensive, this is the spa for you. I personally plan to sell it and if you are considering buying a Caldera, DON'T. Rated 2 out of 5 by Jimmy from Kauai Problem After draining spa, when filling back up, have to release pressure on the main pump to get jets to work. That requires taking the front panel off every time. That is a very disappointing part of owning this spa. I have reached out to the dealer, but can't get them to fix. Rated 2 out of 5 by Pablo from High price low quality Paid a lot more for caldera than other brands available hoping to get better quality but I've had two service calls in less than a year. Within the first first week they had to replace the pump because it would shut down after half an hour of use. Then the temperature started going crazy shooting up to 105 degrees with thermostat set to 95. The spa still makes a thunking noise and shuts down occasionally and won't run for hours and it's still less than a year old. I would not recommend this spa to others. 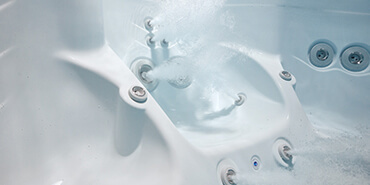 Rated 1 out of 5 by spagirl from Disappointed with a recurring problem We bought this spa about a year ago and we were very pleased with it until it was time to change the water. Every time we drain the water out, it gets an airlock. This requires an expensive visit from our spa service man to get the airlock out. The wood side panel covering the motor is not easy to get on and off. This is our 4th spa that we have owned and the first spa that has had this problem. I would not recommend this spa unless you are very handy at getting the wooden side panels off to release the airlock. Rated 1 out of 5 by TSQ from We got a lemon and no one will help We purchased our Kauai hot tub (KAA3T1107) in October 2015 and had problems with it almost immediately. No matter what we tried, the water never looked right. We've had to drain/refill it 5-6 times already and are on our third filter. We're incredibly frustrated that this "worry-free" spa has been a total bust and are sorry we bought it! Since no one would help us, we hired a professional spa maintenance company to try and fix this lemon. Despite a thorough cleaning, all new cartridges and a new filter, we're still getting milky looking water, a strong chemical smell, and what can only be described as booger-like slime floating in the water. We haven't been able to use our hot tub when we want to as no one in their right mind would get into that milky slime-bucket. The spa guy has tried his best but hasn't been able to fix it. The one down the street looks fine, so it's not our water. We resent having to spend so much money on a brand new spa! If it's this bad new, what's it going to be like in a few years? It's turning into a useless money-pit instead of the relaxing spa we wanted. We wouldn't recommend it to anyone! Rated 1 out of 5 by PO from A Lemon at Best I bought a KAUAI Serial KAA1S1060 in December 2013. My wife and I have had nothing but trouble with it from the start. The first ozoneator Caldera sent to us was the wrong one for our spa. It failed after four months and it took us three months to recover from that failure. They sent a second unit and it failed after one year. I am presently attempting to put the unit back into service and after the first refill the main pump has now failed. I would not recommend a Caldera spa to anyone. Rated 5 out of 5 by bigalo210 from Perfect for Me After suffering from 2 car accidents and 1 motorcycle accident I decided to treat myself to a spa. I knew I would be the only one predominantly to go in it frequently in my family. My children are still to young to use it and my wife doesn't have much interest. With that being said I chose the Kaui model which is perfect for 1 person - or 2 (if you don't mind sacrificing jet pressure). It is great and powerful when I am in it alone - but if you are in it with 1 or 2 more people that want the jets as well you must sacrifice and evenly distribute the pressure. There are a nice amount of jets - and will equal distribution you can still certainly feel them, but not therapeutically. When I am alone I direct all of the pressure to my specific seat and they feel great. I hop from 1 seat to another and with a quick adjustment the pressure follows me around the tub. In an nutshell, the tub is great for 1 person who would like hydrotherapy; 2 people for simple relaxation; 3 people is slightly tight (a little awkward with leg room) - but all in all great for my needs. The Spa Frog also is an easy system to maintain the chemicals. Rated 5 out of 5 by at from was worth the wait I love this tub, I have had back problems for a couple of years. When I would go on vacation I would use the hot tub at the hotel and just feel great afterward. I vowed to save enough money and buy a good quality tub for myself. After saving and reviewing hot tub after hot tub I found that the Kauai had the right size and perfect location of therapy jets to fit my needs. Now after the first 4 months I can say this is the best purchase and was worth the wait. I have also saved a large amount on chiropractic services. Rated 5 out of 5 by novastien from enjoying our spa we really enjoy this spa. It is a 3 person spa which is what we wanted. I'm 6'5" and I fit in it very well. That was a big problem when we were looking for a new spa. This is our second new spa and would recomend this unit to anyone looking for this size spa. Rated 5 out of 5 by K & D from Sweeet! We enjoy our Kauai tub so much! On cold Vermont nights when you are chilled to the bone, it's magical. I expect we will be using it even more on cool summer evenings. Rated 5 out of 5 by Kauaispa from I LOVE my little KAUAI SPA! I'm in my spa at least 3 x's/week - the jets are positioned perfectly to soothe the aching muscles, relieve the stress and renew my body, mind and soul. It's energy efficient, quiet....drains in an hour, fills in an hour and heats up overnight. No complaints. Not only is the tub a product of quality but the people at Watkins blew me out of the water! They stand behind their product! They have integrity... what a concept, eh? something rare in this age of 'no accountability' in America. After 5 years in the Florida summer sun, I got a few small bubbles in the shell lining of the tub.....the people I bought the tub from came out, took pictures and sent off a claim to Watkins, maufacturer's of the Caldera Spa. Lo! Behold! OMG! can this be..??? I received a letter stating the shell IS covered under the original warrantee and I would receive a replacement hot tub. Yup! within 4 weeks, a brand new 2012 Kauai model hot tub was delivered! WOW! Thank you Watkins, thank you so much, for reaffirming my faith that all is NOT lost in the business people of America. I am so glad I chose this Caldera tub......you guys are great!! Rated 5 out of 5 by RH58 from Big things come in small packages ! The Kauai is the 1st hot tub we have purchased and love it. The small size of only 220 gallons of water has not seen our electric bill go up very much. We have had 4 adults in the spa but typically it is meant for 3 adults as 1 seat acts as a recliner and then 2 additional seats. We have had it for almost a year and feel it is one of the greatest purchases we have ever made. We try to go in every nite. It's most rewarding after a long hard day of work to come home, grab a glass of wine or cold beer and relax in the hot tub. We would recommend everyone getting one. Rated 5 out of 5 by pushrod from A great value for the money... Easy to maintain, easy to use. Fits perfectly on our deck, We love it! Rated 5 out of 5 by Jeffro from Real good spa This is a great spa. The dealer is great. They've taken care of all my little complaints quickly. Easy to deal with and nice folk. Rated 5 out of 5 by JRS38 from Spa Frog Problem I love the Kauai Spa. It fits our needs perfectly and is much more usable that a larger spa we had before. My biggest complaint is the Spa Frog water tratment system. It obviously was not designed for this size spa. Even at it's lowest setting the bromine is way too much. I have to continualy turn the bromine cartrige off completlely to let the bromine level come back down. At a setting of 1 (the lowest) it will climb higher and higher. Other than this one flaw it is the perfect spa. Too bad they didn't design the treatment system to go with the smaller size spa. Rated 5 out of 5 by "T" from Great for fatigue and joint pain. Very good performance and easy to maintain. Much better than our last spa. Rated 5 out of 5 by chefgary from Very nice spa This is our first spa and it is sized nice for 2 people,it fits our needs very well. For three to use this spa would take a lot of water volume management because of its depth. But the depth is what makes it ideal for our use. 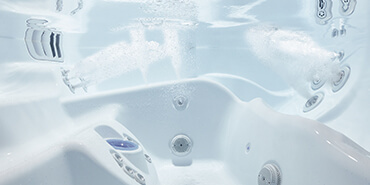 Beside ease of entry, the size makes it possible to install in places where larger spas won't fit. We are very pleased with the Kauai Spa. Rated 5 out of 5 by Ellen from Gets used at least once every single day! I love this spa. It is perfect in every way! It is quick to empty and quick to fill. Rated 5 out of 5 by Jessica from Best Purchase Ever It was hard to justify the expense at first, but it was well worth it. Small size so lower energy costs and it has great features like the wrist jets! I wish it had a couple of leg jets for the lounge seat like their bigger spas, but it may be asking too much. Anyway, definitely a great purchase! I love spending time outside soaking in my Kauai! It's like a taking a vacation without leaving home. Rated 4 out of 5 by Leo from 4 out of 5 Looked at many smaller hot tubs and didn't want to return to a Jetsetter we had years ago because of smaller size seats and limited jets. The Caldera Kauai was the best fit for a two member family. It's an excellent soak for one person and comfortable with two. We would purchase it again however wish it had micro bubbles like the Martinique offers. 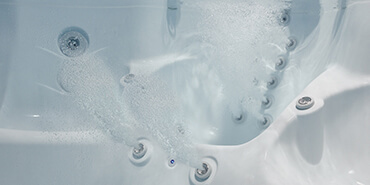 Rated 4 out of 5 by Gdal from Excellent way to relax We have used hot tubs for 25 years as we find them to be very useful for relaxation and for relief of aches and pains. We needed a new spa for the two of us and the Caldera Kauai is just the right size. I do recommend buying the cover lifter and possibly a hand rail; we are an older couple. While we have only had the spa a short time, it appears to be easy to maintain. Very happy with our purchase. Rated 4 out of 5 by Doug W. from My Kauai I have owned it for less than a week and totally love it. I previously had a Jacuzzi Spa that was 17 years old and replaced it wit the Caldera Kauai, so far the best move I have made in a long time. I look forward to many great years of use. Rated 4 out of 5 by nccan3 from Kauai tub I absolutely love the size of the 3 person Kauai. I also love how easy it is to get in and out. However, for the price paid, I would have expected a low speed and high speed for the jets as well as the waterfall. In such a small tub, the high speed does generate significant noise. Rated 4 out of 5 by miss woe from Hot tub for health & happiness The hot tub has been a good addition to our life from a health & leisure perspective. The tub however has had its flaws: cracked side panel, unglued jet nozzles. Our tub was delivered with one of the jet nozzles detached. Since they reglued it, it has detached 2 more times, as well as 2 other pieces. This is an inconvenience, but we have continued to enjoy our hot tub time. Rated 4 out of 5 by Retired sparky from Perfect spa for two The only thing I would change is the depth of this spa. Another 6" would be nice. My wife and I love the size and treating different areas of the body by switching seats. I love the maintenance being so easy. Small enough to fit Ina corner of the patio, large enough to really relax in. Rated 4 out of 5 by Ozark750 from Mostly love our hot tub We have been using our Kauai hot tub for several months now and love the configuration and variety of jets. What we haven't found user friendly is the ease of water care. Our water has not been clear the majority of the time since we've started using the Kauai although we constantly adjust the chemicals as recommended and use the Frog system. Having owned two previous hot tubs, we find maintenance for this one to be the most difficult of any we have owned. Rated 4 out of 5 by Andie2016 from Kauia I love the variety of jet placements. Great investment for therapy and pure enjoyment. Rated 4 out of 5 by Stevo Spa from New spa The Kauai spa fit beautifully into the spot in my backyard replacing my old spa which had gone "end of life.' we like the look, it cycles on once a day which is very efficient and the cover and spa colors are attractive. It is however a little small which can feel uncomfortable for 2 or more people, I knew that when I selected it but I didn't think the "shallow" effect of the shorter spa would be noticeable. My daughter and her fiancé visited , used the spa a couple of times also and they loved it. The jets are strong and very relaxing when you can stretch out in it. I am just know checking the water again and have yet to flush/change the water so far I am very pleased with my Kauai spa overall. Rated 4 out of 5 by John from Reasonably happy with our kauai, just wish the frog would work We got our kauai a couple of years ago now and water chemistry has been a challenge to say the least. The inline spa frog is less than worthless, it does absolutely nothing, which blows my mind because bromine will dissolve easily when you get it wet. I tried several things including creating a reserve, it wasn't until I took it out of the inline system and just dropped the cartridge into the filter basket that I got any results. And Watsons was less than helpful, I even tried to call spa frog directly, no help there either. If it wasn't for the difficulty with the chemicals I would love this tub, but as it stands it's almost more trouble than it's worth. Rated 4 out of 5 by marty from Spa review of Kauai Great for two to four folks, jets are strong, could use more than one pillow headrest. Rated 4 out of 5 by Muggle38 from Spa Frog Worthless We really like the small size of the Kauai spa, just perfect for the 2 of us. Everything works well except for the Spa Frog system. It apparently was not designed to go with this spa. Even with a setting of 1 on the bromine cartridge the bromine level goes way high. The only way I can use it all is to constantly reset the cartridge from 0 and then back to 1 then back to 0. If I leave it on 1 it just goes higher and higher. Caldera ignores my pleas for help. Rated 4 out of 5 by LC from I love my Kauai I love my spa - the size is perfect for us. I wouldn't change a thing, except maybe I should have gotten the built in stereo. Rated 4 out of 5 by CTM from Nice spa! Enjoying our Caldera Kauai. Lots of jets, quiet and looks nice on the deck. I am almost 6'4" tall so it is a little tight in there but I knew that after the test soak. There are more than enough features to overcome the size issue ... and we wanted a smaller spa since there are only 2 of us that will use it. Have had some issues keeping the water balanced but am working on that. At times it is crystal clear and at times slightly cloudy ... and just can't seem to figure out what I am doing to cause that. One thing is to NOT use summer mode! Overall ... we are happy with the purchase though and look forward to cooler weather to enhance the experience! Rated 4 out of 5 by ChrisL from Nice Spa, Great Size We sized-down from a large Sundance Cameo to the Kauai because it is just the two of us and we didn't need all that extra water to heat, and all those extra jets, blowers, etc. In fact, most of the time, we just soak in the hot water without the jets turned on. Near the end of its life the Sundance Cameo broke-down constantly, and I'm hoping that the straight-forward Kauai has far fewer problems. It holds its temp. well, and seems to use chemicals sparingly. It is comfortable for two to stretch-out (I think three would be a bit tight), even though I am 6'3". We've had the Kauai for a few months now, have used it constantly, and so-far, so-good. I love the easy-to-use gas-piston assisted cover. We looked at similar smaller, side-by-side spa models from Hot Springs, Bullfrog and Sundance, and found the Kauai to have the most comfortable seats. Rated 4 out of 5 by Firefighter200 from Good quality for value We have had our spa for two months and we love it. It's small enough to sit on our deck, but big enough for several people to feel comfortable. I think the only issue we would have is the day it was delivered we didn't really receive any spa Q & A session. 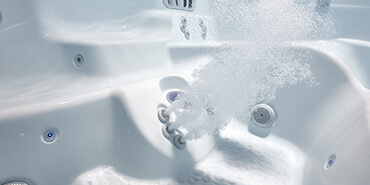 We had never owned a spa prior to this one and there are steps you need to do to ensure the proper water quality and life of your spa. Just a short 30 minute or so, on spa ownership would have been nice!! Other than that we have survived and enjoy the benefits of our new Caldera Spa. Rated 5 out of 5 by DonnaNH from Love my hot tub! This tub is a perfect size for my deck and me. Very easy to maintain and clean. The jets for the back are awesome. Feel like I just had a massage. Rated 5 out of 5 by Memaw from Best investment ever I wish I could sleep in it as it is so relaxing I just hate to get out. Helps relieve painful issues of fibromyalgia , arthritis, and bad back. It is so easy to maintain with the in-line frog system. A great investment. II use it year-round! Rated 5 out of 5 by JKing from excellent purchase We love the Kauai hot tub, perfect size for our smaller patio. The jets are more powerful that we thought they would be based on the overall size. We have had the spa for 2 months and love it. Rated 5 out of 5 by Loves Blue Heelers from Paradise Found! After an extensive search of local spa dealers and online, my daughter and I chose the Kauai for our small Huntington Beach backyard which I remodeled into a family retreat. Looks, comfort and hydrotherapy were important features in a spa, and we were willing to pay a little bit more to get the best for our project. Our Kauai spa has been in use for over a year, and we are still very happy with our purchase. Ryan, our dealer, was great with installation and startup. Rated 5 out of 5 by south dakota from Kauai hot tub We've had our hot tube for a year now. We have always enjoyed them at vacation spots, but never were sure we could afford or maintain a hot tub. However, after just going to places just to use on, it became apparent we needed our own. It was installed in a three sided glass room on our front and private deck. Since then it is used almost daily by one or both of us. After a hard day of ranch work, the aches and pains are surely reduced. We like the hot tub and serenity of the time spent in the hot jet focused water, that we are now adding a separate bedroom entry to a new 'only' hot tub room. It has become such a part of our life that when we travel we cannot wait to get home to our private retreat. This has been one of our best investments. I am sure there is a Caldera Spa to fit any persons needs. Rated 5 out of 5 by Rusty from Great investment for health and comfort We have had our Kauai hot tub for three years now and have enjoyed it every time we get in to relax. There is nothing better to relax tired muscles and relieve my arthritis pains. This saves me from going to expensive spas. My wife and I use our spa time to converse and enjoy bonding time. This is much better than the motor home we sold to buy this spa. Rated 5 out of 5 by sharons from Kauai spa we love our kauai. Built for 3 but big enough for 4 comfortably. we love the changing colored lights plenty of glass rests. Can't get over the temperature controls: you can keep it cool in summer but with a push of a button temperature quickly rises. the only problems we've had is maintaining pH alkaline balance, and sometimes mildew builds up on the cover and needs to be cleaned with bleach. It is a dream on our new enclosed porch. Rated 5 out of 5 by vh from Why didn't we do this before? This is our first hot tub and we are wondering why it took us so long to get one! The smaller size is perfect for the two of us and it's located just outside our bedroom door, so we can slip in for a quick dip when it's cold outside. We will probably drain it next spring and not let water sit in it over the summer, but we are looking forward to some cool fall nights. It's easy to take care of and we couldn't be happier. Rated 5 out of 5 by Jim from Excellent after fixed We have enjoyed our spa except for the three months we were unable to use it. The reason for that is that Caldera provided the incorrect ozone generator for the spa to the dealer and when it died it left us with an absolutely useless spa until the dealer went through a three month cleaning process to remove all of the detritus that had clogged the entire piping system, the pumps, and the spa itself. Once they installed the correct ozone generator and cleaned the spa thoroughly we are back to total enjoyment. Rated 5 out of 5 by moony from I really like the jets This hot tub really has perfect jets. Its comfy, easy to maintain, and just a very nice hot tub. We had to go with a smaller tub because of our zoning, but there are some drawbacks to a smaller hot tub. It's much less energy efficient than a larger tub- our electric bill went up about $50 in the summer and $100 in the winter. And while it seats 3, its really only comfortable for 2. If I had to do it again would go back and buy a house that they would let me put a big hot tub in, but If I couldn't I would buy this one again in a minute. Rated 5 out of 5 by dolphin from best investment We bought our Kauai nine years ago and we use it weekly. Since that time we never caught a cold. After a soccer game we ever relax in the spa so that we don't get sore muscles. Rated 5 out of 5 by Rainbow from Love my Spa! I couldn't have had a better experience buying our hot tub. We weren't pressured, the environment was relaxing and informative. Caldera Spas are everything you want. They have powerful jets with a beautiful design and quiet. Rated 5 out of 5 by Whistle from Excellene The spa I purchased at Caldera Spas is fabulous. I've had no trouble with it since I purchased it in I believe it as June of 2010. It has been a real pleasure owning this Kauai Spa. Rated 5 out of 5 by rick from great tub this is our second spa. we are extremely happy with the operation ease of care for this spa. mp only problem has been the owners manual has never been received. Rated 5 out of 5 by Rvingdoglady from Great purchase! We have had our spa for a year and love it! My husband had back surgery and I had a knee replacement and it is fantastic for those aches and pains. In general, it makes your body feel fantastic! We just closed in our patio so we do not have to deal with the snow this winter on it. Can use it even more! It was one of the best investments we have ever made!! Rated 5 out of 5 by AT from Stress reliever I have had this spa for 2 years and I enjoy the benefits of it every night. I only need about 20 minuets to relieve the stress of my job. I also have back problems and since I bought this spa I have eliminated trips to the chiropractor. My mother also uses it to relieve pain in her hip. Overall very pleased and would recommend a caldera spa to anyone. Rated 5 out of 5 by katlady1010 from So relaxing! My husband and I love the kauai hot tub. We use it at least 3 times a week. We have not noticed an increase in our power bill (had for 5 months). It is so relaxing to sit in the hot spa and watch the birds and wildlife. Rated 5 out of 5 by CJ from Worth Every Penny We looked at a lot of other brands that were much less than what our Kauai cost but it was worth it. It fits our small patio perfectly and fits our needs as well. My husband and I have found that it helps with our back issues as well as relaxes us. Money well spent. Rated 5 out of 5 by Deb from We love our Kauai spa! Love our Caldera Kauai spa! Just big enough for the two of us. Love my lounger and choice of deep seat or high seat. Easy to maintain, energy efficient we feel. Have owned for 3 years and it just sprung a leak. Dealer had to be "sat on" by factory to get it repaired as it is still under warranty. Was without my spa for two months as my spa repair took a back seat to dealers more important pool customers (typical of dealers here in the NE) but we have it back now and it appears to be working fine. Hope it gives us many more years of enjoyable use. Love to use it best in the wintertime. Something about clear cold air (30's), snow on the ground and hot water really is a relaxing experience. Rated 5 out of 5 by Fly guy from Kauai Perfect size for two ! More will fit but it is a super size for couples. Spa frog is the best and we have owned spas for thirty years. Rated 5 out of 5 by Letsk8 from A piece of paradise in my backyard I can't wait until I get home each day to sit in this hot tub. It's easy to maintain and the jets are amazing! Rated 5 out of 5 by DKCon from Love it! We love our Caldera Kauai. It's perfect for the two of us, and we use it year round in Vermont. Rated 5 out of 5 by Tony G, (retired old phone guy) from Colorado Mountain Home This hot tub is probably the best I've had, I've had Wind River and Sweetwater spas as well as an old Jaquzzi and this is a step above! I was reading the reviews online and I have to tell you my spa is a 2002 model and I have had zero issues with it. It has been moved twice and it still works as it did when I first bought it, I'd buy another in a heartbeat....in fact I may have to because we're thinking of moving to Oxnard CA in the next few months and we don't want to move it again! Rated 5 out of 5 by HMan from Great Hot Tub This is my second caldera spa, my first one located in my last house lasted over 14 years with no problems. The Kauai, is perfect for 2-3 people. I recommend getting the ionization kit, keeps chemicals lasting longer, Also get the from spa kit which are two chemical products that auto dispense, reducing 90 percent of having to frequently add chemicals. I researched and viewed many of the competitors and Caldera used higher quality parts. Also note that they use Watkins Johnson motors also used by Hot Springs Spas. My new house came with a Jetsetter Hot Springs spa and after 16 years the motor gave out. I looked at the latest Jetsetter and it still only had 17 jets vs 31 jets in the caldera AND the Caldera was about the same price! Rated 5 out of 5 by McK from Perfect Size for our Lanai Having had a larger spa taking up a lot of space, this Kauai is perfect for us! 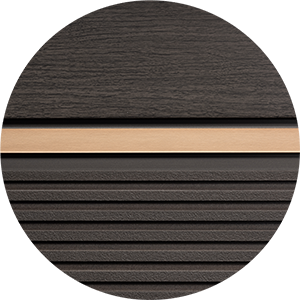 Low profile and it does not dominate our space - love the attractive color, and so easy to take care of inside and out! great tips from our Caldera Dealer for set up and maintenance, and the Spa Frog system is great ! Rated 5 out of 5 by Jim from KAUAI SPA Very nice spa. Great pressure. Highly recommend. Very cost efficient. Rated 5 out of 5 by Suz51 from Well worth the money!! I love the set up of the Kauai. The lounger with the jets on my legs is the best thing after a day of working/ standing on my feet. The side seats have the most wonderful jets for lower back and shoulders. I really get a great massage sitting in either seat. So glad that I searched until I found what I wnated in a hot tub!!! Rated 5 out of 5 by Catfarm Lady from Caldera Kauai I have a 2003 Kauai and I love it. The new ones are beautiful, but my older baby is wonderful. The quality keeps it timeless, and the ease of care is matchless. Would not trade my Kauai for a different brand for the world. Thanks Caldera---quality is NOT a thing of the past! Rated 5 out of 5 by Middlechild from Kauai We love the size and quality of our hot tub. This is our 3rd hot tub in 30 years and it's our favorite. The jets are adjustable and are very powerful. Rated 5 out of 5 by Eagle Spirit from Excellent Hot Tub The Kauai was our second tub. Outstanding! The Frog system makes things much easier than floating or hand distribution of chemicals. Had an early issue with cover quality, but that was resolved immediately. Rated 5 out of 5 by Linda B from Smart purchase This is one of the smartest purchases I have ever made. It is just the right size and comfort. I love it. Rated 5 out of 5 by Cousin Vinny☺ from Very pleased with my caldera spa☺ My KAUAI spa is comfortable and relaxing my family enjoys using the spa. The lights at night are so cool. The jets are relaxing. I have a bad back and use all most every day. My company also enjoys my KAUAI spa. Very attractive it's a big hit with my grandkids. I would definitely recommend the Caldera Spa to everybody. Rated 5 out of 5 by Janny from Heavenly Kauai This spa is wonderful. Great for arthritis stiffness, skin, and relaxation for stress…….especially sitting and looking up at stars at night. Am thinking that's it's not only a luxury but a necessity in today's fast paced world. Perfect size for three and low maintenance. Dealer and installer at Clearwater Spas in delaware are a cut above. Rated 5 out of 5 by Frank49 from Really enjoyed the spa during the Michigan winter months. Heavenly when snow is everywhere. Placed the spa in an outdoor covered patio, so no snow to clear off the cover, but the cold fresh air was an amazing counterpoint to the bubbling hot water jets and light show. Truly a unique and wonderful experience. Rated 5 out of 5 by Roger from spa Love the spa! Use it nearly every day, Jeff knows his stuff in Coralville! Rated 5 out of 5 by Bix from 12 Years Old and Still Running Fabulous I live in Maine & purchased this Hot tub for my outside deck. Love, Love, Love, the size.. perfect for 2 for relaxing...adding a 3rd makes it comfortable for chatting... It has been through some very cold, snowy winters. I have only needed to replace the cover once, due to a branch piercing it and had a minor electrical circuit issue. Easy to maintain. Rated 5 out of 5 by Jeff455 from Best Hot tub Yet This is my third Hot tub and it is by far the best hot tub I have owned. The tree seats all offer different arrangement of jets so they massage all parts of the body. I use it every day. Still playing sports at 60 with the help of my spa. Rated 5 out of 5 by Karrie from Best thing I did This spa is perfect for my husband and myself. The jets are in all the right spots. Messages my calfs and feet as well as my back and shoulders. It's so nice to end my day with a dip in the spa before bed. I sleep like a baby now It's so easy to maintain with the frog system. I just put the stickers on my calendar to remind myself to change the cartridges. Don't get much easier than that! Rated 5 out of 5 by Kathy from Happiness turned to disappointment I loved our Kauai at first. So comfortable and seemed so perfect for the two of us. Three months down the road, I'm so over trying to get the water to stay clear. I heard a rumor that some of the spas on the market today have changed the source of their plumbing and that the new plumbing has a problem that causes white flakes in the water. The water turns a milky white when the jets are on and it gets a bit too foamy. I was told to purge the system with a product called Ahh-Some. I did that 3 times the first time, rinsed it twice then shocked the fresh water with spa grade hydrogen peroxide. This process took 10 hours of my day. The water stayed nice for about 9 days, though the milkiness of the water with jets on returned at about 5 days. On the 9th day, it all began to go downhill. White gunky stuff began to grow rapidly inside the plumbing and would shoot out when the jets were turned on. I have just purged it for the 4th time with Ahh-some. Ran the jets for 40 minutes, then let the tub sit for 8 hours and ran the jets for another 30 minutes before draining and cleaning. I will fill and rinse the tub twice before doing a final fill with filtered water. I thought spas were supposed to bring relaxation and peace to one's life. Mine has been a source of frustration. If this attempt fails, I think I'll have to ask for my money back. :-( I waited so long for this tub! I have attached a photo of what is coming out of the plumbing. Rated 5 out of 5 by Ricky27 from My piece of paradise Have purchased to "Kauai". Part of the paradise series. Smaller - designed for a married couple living on a smaller lot, a few blocks off the Pacific. Maintenance had been easy. Have enjoyed for over one year without incident. Electrical is designed to separate heating and the operating of the Jets. No significant increase in electricity. Overall, I'm very please with my spa! Rated 5 out of 5 by Carol from Great spa Easy maintenance. Much better than going to physical therapy! Helps with the shoulder problem. Rated 5 out of 5 by Coastalbrat from Love our spa We decided on the smaller spa as its just the 2 of us, it's the perfect size. Very happy with our purchase. Rated 5 out of 5 by Stoney Creek Girl from Perfect for me My Kauai was the perfect choice for me and it fit perfectly in a space on one of my decks, facing the river. Many relaxing and beautiful soaks take place at my house! It's easy to maintain and the jets help with life's aches and pains. I am a very satisfied customer. Rated 5 out of 5 by Juice Plus+ Gal from Perfect for 2 people! Though 3 persons can fit this spa just fine, it is luxurious for two! All three seats are quite different but all all comfortable. I love moving from seat to seat to experience all the massage jets! Relaxation at its finest! Rated 5 out of 5 by Debbie60 from Still think it was the best decision we've ever made. Great decision. My husband has had back surgery and he and I often do more than we should and after a sit in the hot tub we find the relief we are looking for. There are two seats and a lounge seat all of which have jets that will massage different areas of the body including wrist jets in one of the seats armrest which really relieve carpul tunnel, which I suffer with. It's amazing!! The Kauai model was small enough we could put it inside the house in the basement. We are older and didn't think we would use it as much if we put it outside. For us that was a good idea. It is very economical to operate. I would suggest this model for anyone who was looking for a beautiful hot tub with all the features but a smaller model, Absolutely love it!! We have had ours Kauai now for a couple of years and have absolutely no problems. If you are looking for a fantastic hot tub in a smaller package this is the hot tub for you. Rated 5 out of 5 by Deb from Awesome hot tub!!! The Kauai is a smaller version of Caldera, but don't let size fool you. It has so many jets that you will not realize you are in a smaller version. It is very easy to maintain and we could not have been happier with our choice. We put ours in the basement so that is why we went with the smaller Kauai. Have not regretted our decision. Rated 5 out of 5 by Subie81 from We love our spa! We are so happy we purchased the Kauai spa. We use it often in the fall and winter, only weekends in the summer (it's hot outside). So relaxing and comfortable. Rated 5 out of 5 by Mc from Great spa I use the spa every day. I highly recommend it. It really helps a person feel better. Rated 5 out of 5 by BandK from Love it ❤️ We love this hot tub and would recommend to anyone looking for a smaller tub for two !!!! Rated 5 out of 5 by bluecarman from Great Hot Tub This hot tub has been a great purchase. Not only for recreational use but also for healing purposes. I have found that it has tremendously helped with my arthritis. I would highly recommend this hot tub. Rated 5 out of 5 by pugface from We Love It We purchased the Kauai spa after shopping around for several months. We were looking to replace our broken Thermospa that we purchased back in 1999. We loved the design and seat placement in the Kauai and we enjoy it on a regular basis. I had two bad knees at the time of purchase and would go in to relieve my aches and pains. Now I have two knee replacements and it is great for doing all my bending excercises in. It also is great for lower back pain the jets hit in all the right places. My husband and I enjoy the spa almost on a daily basis. Rated 5 out of 5 by Lori from Laurel's Kauai We have found the Kauai to be a spa with excellent jets, fairly easy to maintain. Adjusting chemicals and cleaning it regularly Is work on any spa, and this is probably about as easy as it can be. We use it in the classic way, which is to relax and help ease muscle strain. Again this is probably as good as it gets. We just wish we had more free time to enjoy Laurel's Kauai. Rated 5 out of 5 by McSub from perfect size The Kauai is the perfect size for my wife and I. We have had bigger tubs and we found that we are just heating up water that is not being used. I use our tub almost every morning before go to work. Rated 5 out of 5 by Denis from Great spa for 2 people With only 1 pump for this spa, you will have to choose which jets to activate if you want full power directed where you need it. If you are ok with that, this is a great spa. I use this spa 3 or 4 times a week in the evening to massage my leg muscles after a long run. I had to be creative to get the powerful jets to hit right where I need the massages but now (after a couple months of use), I have found the right settings and sitting positions (not always how the seats are designed) for me. I massage my calves, front/back thighs, back and neck using 8 different positions The low profile makes it very easy to get in/out without a step and makes the spa less intrusive in the backyard. It is also much more quiet than other brands in stand-by mode which is great. I recommend this spa as a 1 or 2 people spa. Rated 5 out of 5 by jaydasmom17 from backyard oasis I just love my caldera spa. My little Kawai is perched on a platform with the Pergola in my backyard and it’s the most wonderful thing. I get in that after a hard day at work and the massaging jets in warm water just melt all my aches and pains and stress away. Despite its small size it seems large and I have plenty of room for myself and a friend or two. I highly recommend the caldera spa Kawai model. Rated 5 out of 5 by Beth27 from Best therapy for any achy body Great therapy and relaxing for sore muscles and joints. Rated 5 out of 5 by Akhunter from Best tub Love sitting under the northern lights in my caldera spa. This tub is perfect for my wife and I to enjoy together. Rated 5 out of 5 by Dave & Linda from Our first Spa We are a couple in our late sixties and this is our first spa. We love it. It is easy to use and keep up. I was expecting more juggling of the chemicals but it has not turned out that way. Rated 5 out of 5 by Hot tub Joe from Terrible Buying Experience My wife and I just purchased our spa. So far we really like it, however the buying experience has been aweful! Your videos show ease of water maintenance, but our spa came without Frog system. The manual comes with an addendum telling you that it should be included. Dealer sends box of chemicals and tells us this is better. If you want the Frog system we'll sell it to you, but it's more expensive and it smells. So we don't know what we are supposed to be doing.